Pathi Bara is a 3700m top just north of Taplejung in Eastern Nepal. There is a tiny Shiva shrine there. At the end of our 1988 trek I spent a night sleeping at the shrine with a group of pilgrims. This is the view that greeted us early the next morning. 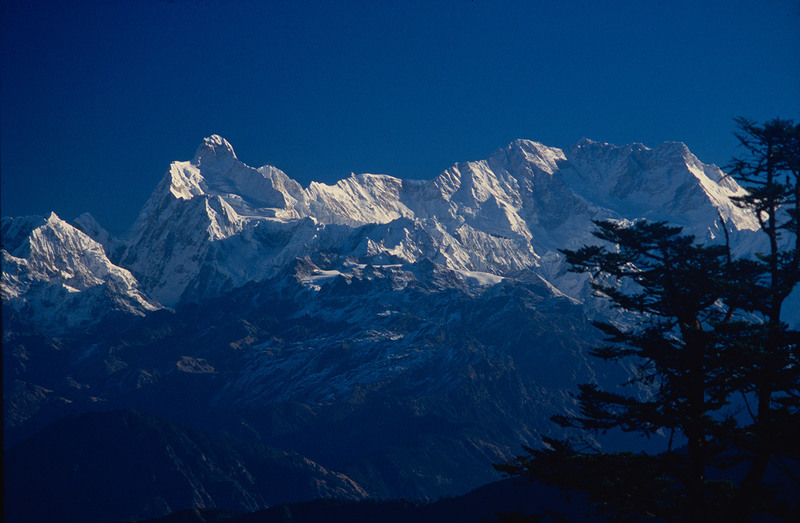 Jannu is on the left, with the entire south face of the Kangchendzonga massif.